Growing up, my mom would fix a tuna casserole recipe for us. Now that I have my own family, I decided to share this casserole recipe with them, only with a few modifications. A couple of changes I made from my mother’s recipe is adding more cheese and I removed the onions. I will add in the notes section of the recipe the amount of onions should you like to add them in your dish. My youngest son chowed down this casserole the last time I made this. He even had seconds!! 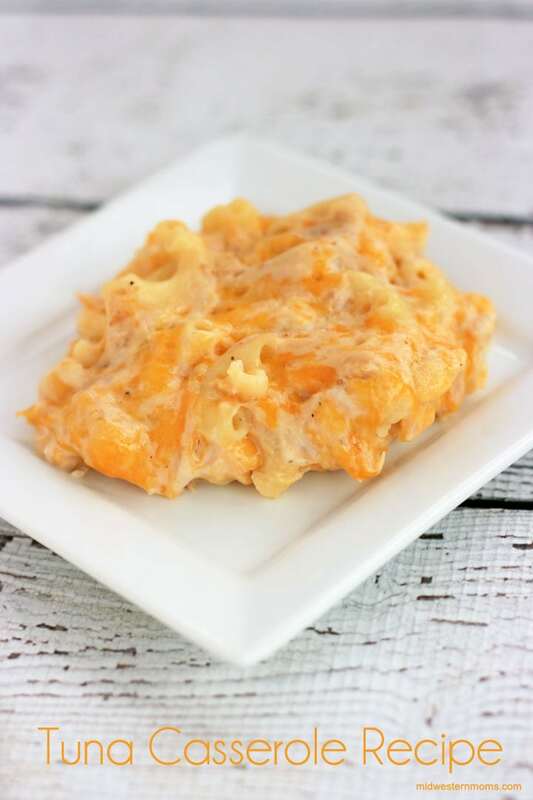 The extra cheese I added makes this a cheesy casserole that we love! 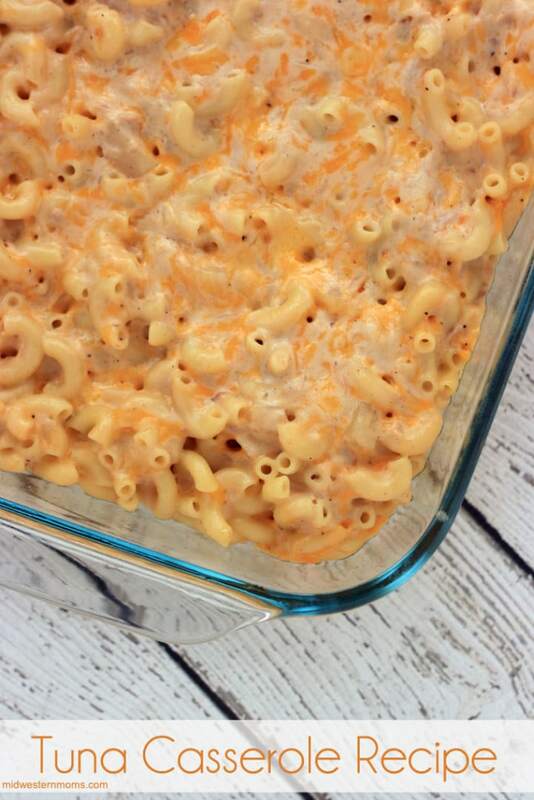 I hope your family enjoys this tuna casserole recipe just as much as mine does! 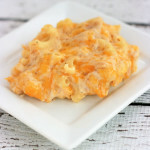 Delicious cheesy Tuna Casserole recipe. Cook the macaroni until it is almost done. Mix in the tuna and add in the macaroni when it is done. Place in a greased 9 x 13 pan. If you wish to add onions to your dish, add 1/2 medium sized onion, chopped to the mixture. Also, the original recipe calls for cream of mushroom soup instead of cream of potato. We are not mushroom fans that is why I use the cream of potato.